South Africa, which became a republic in 1961, is a middle-income, emerging market with an abundant supply of natural resources, such as gold, platinum, and diamonds. It has well-developed financial, legal, communications, energy, and transport sectors. As of January 2015, South Africa's stock exchange is the 17th largest in the world and the largest in Africa by market capitalisation. Its currency is the rand (ZAR). South Africa has 11 official languages, including English, and three capitals: Pretoria (administrative), Bloemfontein (judicial), and Cape Town (legislative). Our Itineraries are provided as a preview of what to expect on our tours. Please, note, that itineraries are subject to change. Upon arrival in Johannesburg, you will meet one of our representatives who will assist you in being transferred to your hotel. 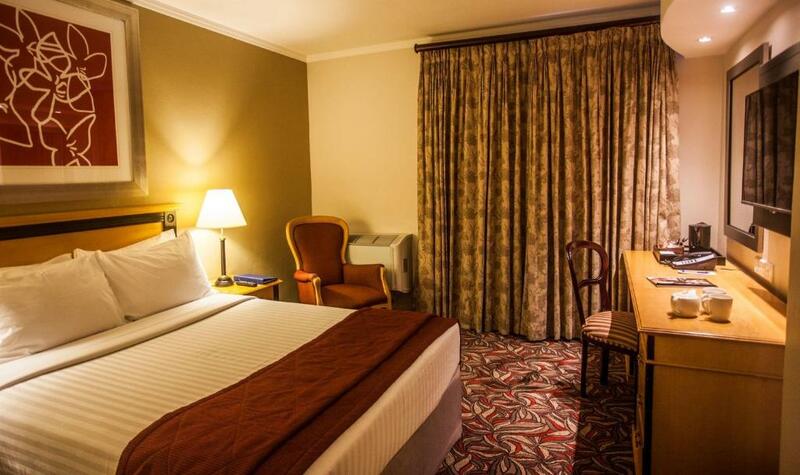 Check into your hotel and spend rest of the day at leisure. Following breakfast, visit the Apartheid Museum. The museum opened in 2001 and is acknowledged as the pre-eminent museum in the world dealing with 20th century South Africa, at the heart of which is the apartheid story. A series of 22 individual exhibition areas takes the visitor throughout a dramatic emotional journey that tells a story of a state-sanctioned system based on racial discrimination and the struggle of the majority to overthrow this tyranny. The museum is a beacon of hope showing the world how South Africa is coming to terms with its oppressive past and working towards a future that all South Africans can call their own. Afterward, you will depart for Soweto. South of Johannesburg is Soweto, a city developed as a township for black people under the apartheid system. Soweto is inhabited by over two million people, with homes ranging from extravagant mansions to makeshift shacks. It boasts one of the largest hospitals on the continent and the only African-owned private clinic. Soweto was created in the 1930s, with Orlando being the first township established. Enjoy lunch at a local shebeen(restaurant).Chez Alina is a multi-award winning restaurant based in Dobsonville Soweto, boasting its unique, authentic and homely environment in which guests enjoy their meals. Chez Alina is still a home, turned into a Restaurant and there is still a family living there consisting of 4 generations. Orientation tour will include a visit to - Hector Pietersen Museum: Hector Pietersen was among the first children shot by police during the 1976 Soweto uprising against the use of Afrikaans as sole medium in schools. The famous painting of his lifeless body, done by one of his friends, is an iconic image and resistance symbol. In the museum, there are videos and photos of the other 566 schoolchildren who died during the riots. - Mandela House: This is the house in which former President Nelson Mandela lived with his first two wives from 1946 to 1961, i.e. before his arrest. The house which is now a museum still has many of Mr. Mandela’s personal photographs and possessions Continue to Johannesburg. Enjoy dinner at Carnivore Restaurant. The Carnivore’s unique ‘all you can eat’ dining concept offers delectable game dishes (zebra, crocodile, kudu, etc.) to choose from and an extensive wine cellar (which features a superb selection of well-known wines to complement your meal), you’ll enjoy an unforgettable dining experience. Following breakfast, depart for Pretoria. Orientation tour will include a visit to Voortrekker Monument, created to commemorate the Great Trek by white pioneers, an essential monument to the Afrikaner history. You will also visit Church Square with its variety of architectural styles, drive past the Union Buildings, administrative headquarters of the South African government, with its beautiful gardens overlooking the city. Continue to the town of Cullinan. Visit Premier Diamond Mine (also known as the Cullinan Mine). The active diamond mine is particularly known for its discovery of the 3 106 carat Cullinan Diamond which were given to King Edward the VII of England on his 66th birthday and which was sent to England in normal package post! From Cullinan, you will continue to your hotel in Sabie. Breakfast at the lodge. Check out and visit the beautiful area of the Drakensberg Mountains, which is a South African geological wonder and which is known as the Panorama Route. Follow this scenic route as it winds its way along the Blyde River Canyon. Some of the views are the most beautiful from God’s Window's (weather permitting), and the Three Rondavels, which are three huge rocks that appear in the form of Zulu huts some 700 m above the river. Visit Pilgrim's Rest, this small village has been renovated in the style of the gold rush around 1870 when pioneers tried to find their fortunes in gold. Before departing the area, attend a demonstration as to how gold was panned for in the old days and then have a look around the various shops and crafts on display in Pilgrim’s Rest. Continue to Bourke's Luck Potholes, one of the most beautiful examples of rocks formed by the force of the water and stones. Lunch buffet style at the Blydepoort Restaurant or similar. 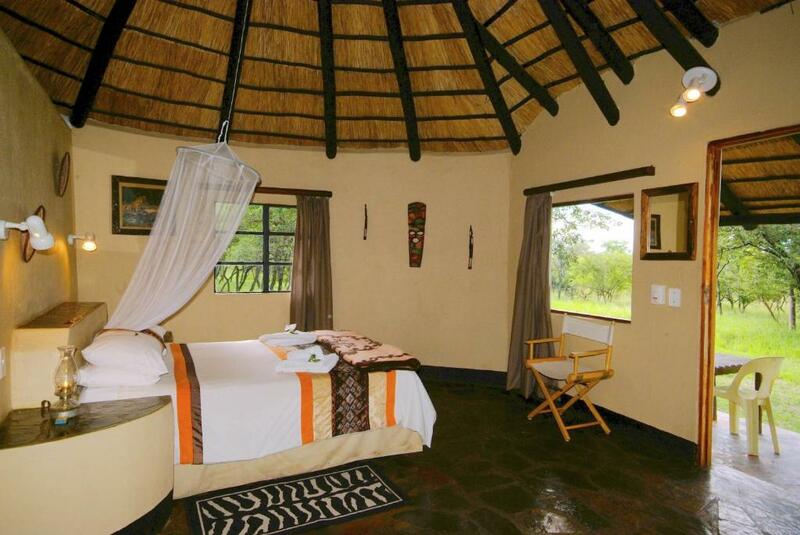 Visit the Hoedspruit Environmental Species Centre, traveling distance about 1.5 hrs. The tour starts with an educational video after which clients are taken on a tour of the center focusing on the conservation of rare, vulnerable and endangered animals. Cheetah conservation is one of their core disciplines, as well as looking after baby rhinos whose mothers maybe have been killed by poachers for their horns. 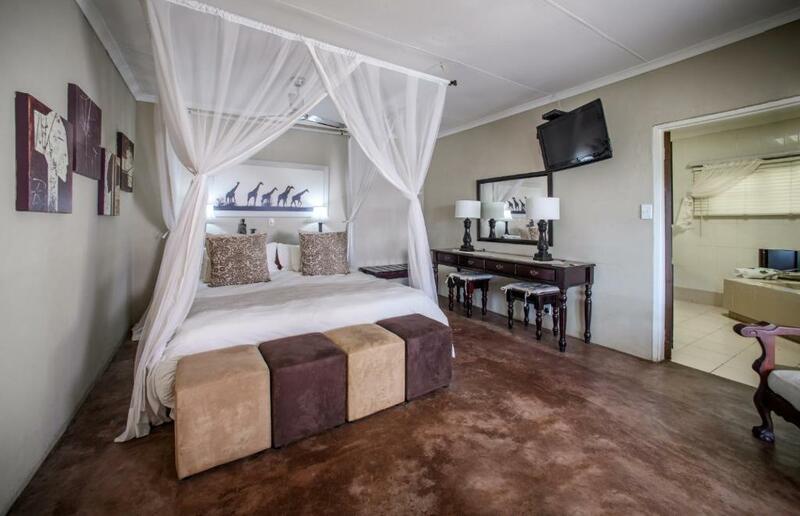 Continue to Hoedspruit to check-in to your hotel for overnight and dinner. Following breakfast, visit Elephant Whispers. Elephant Whispers is dedicated to securing the future of the African Elephant Activity. Continue to Nelspruit for an amazing experience and close encounter with the chimps of the famous Chimp Eden Sanctuary (Jane Goodall Institute). Lunch at the sanctuary 2 P.M. - Guided Chimpanzee Tour (tours are weather dependent). Your guide will talk about chimpanzees, the sanctuary and introduce the individual chimps and their stories from the safety of the viewing points. Enjoy a traditional BBQ dinner at the lodge (minimum of 10 passengers required). Early wakeup call for a full day game drive in the Kruger National Park. Gate opening time 6 A.M. and return at around 4:00 P.M. Packed breakfasts will be arranged with the lodge. Enter the Kruger National Park at the Numbi Gate; ride on open vehicle 4 x 4 safari vehicles and enjoy a game drive with a professional ranger. This reserve was created by former President Paul Kruger in 1898 as a sanctuary for animals, which currently comprise about 450 different birds, 106 different types of mammals, i.e. elephant, rhino, giraffe, zebra, hippo’s, kudu, impala, and lion. The park is about 220 miles long and 37 miles wide, but there is every chance of seeing the Big 5 (lions, leopards, buffalo, rhinos, and elephants). Enjoy lunch at one of the picnic spots in the park. Afterwards, continue safari game drive in an open vehicle. At the end of the afternoon, exit the park and return to the lodge. Enjoy a delicious buffet dinner at the lodge. Following breakfast at the lodge, you will return to Johannesburg. Stop en route at the Corn & Cob country restaurant and enjoy an authentic South African home-cooked meal. Relax in the lush gardens where ducks roam free and the polo ponies graze in the fields. During your stop, visit the Ndebele Village. Ndebele women give a cultural show on the Ndebele traditions and guests can also try local beer and mopane worms. Local beadwork is available. Continue the journey to Johannesburg’s OR Tambo Airport, arriving on time for your international flight home.